Terry Gilliam films almost always feel a bit slapdash and chaotic, it’s just the guy’s calling card to have a modicum of organized mayhem filling the fringes of whatever project he delivers. With The Imaginarum Of Dr. Parnassus, that is probably the case more so than any other film he’s made, and despite letting the clutter run away with itself a bit too much, it’s still a dazzling piece. Of course, your movie will always have a disjointed undercurrent when your lead actor passes away halfway through production, but that’s just the way it goes, and Gilliam finds a fascinating solution to that issue here. Imaginarium is in many ways a companion piece, in spirit, to The Adventures Of Baron Munchausen, a film he made decades earlier, both containing a sort of baroque, Da Vinci-esque splendour and sense of fantastical wonder. 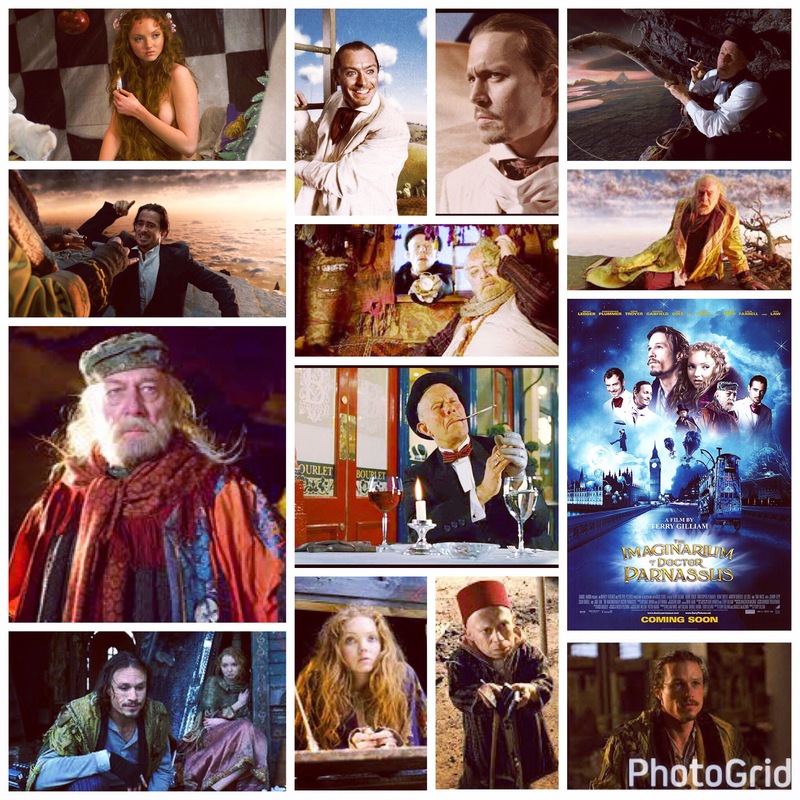 Christopher Plummer hides behind a gigantic Dumbledore beard as Parnassus, a magician extraordinaire who travels the land with his daughter (Lily Cole, that bodacious Botticelli bimbo) and circus troupe, including Verne ‘Mini Me’ Troyer. Years earlier he made a pact with the devil (Tom Waits, an inspired choice) using his daughter as collateral, and now Old Nick has come to reap the debt, causing quite the situation. The story is a hot mess of phantasmagoria and kaleidoscope surrealism thanks to the Imaginarium itself, a multi layered dimension-in-a-box that accompanies them on their travels. Things get complicated when they rescue dying lad Tony (Heath Ledger) who somehow ties into the tale as well. Now, this was Ledger’s very last film, its future left uncertain after his passing, but help arrived in the form of Johnny Depp, Jude Law and Colin Farrell, swooping in to play doppelgänger versions of Tony as he bounced from one plane of the imaginarium to another with Cole in tow, always one step ahead of Waits, who is a rockin’ choice to play the devil, smarming and charming in equal doses. It’s kind of a huge melting pot of images and ideas hurled into creation, but it’s a lovable one, the fun you’ll have watching it reasonably eclipses lapses in logic, plotting and pacing.